April 2018 The Birding Schedule for April 2018 - March 2019 is now up. Guests are of course welcome. For more information, see the Events page. April 2018 Concerning the issue below, remarkably the petition is still continuing, even after three years. June 2015 Signatures being collected for petition favoring regulations against the use of lead bullets in hunting to apply throughout Japan, not only Hokkaido, in order to protect Stellar's Sea-Eagles, White-tailed Eagles, others, and the health of biodiversity in general. 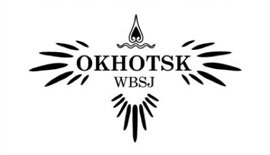 This site is prepared and maintained based on content on the WBSJ Okhotsk Chapter's Japanese site whose link is in the upper right corner of this page, as well as some original content. We are doing this mainly for the benefit of English-speaking bird lovers who are interested in knowing more about the birds of this region or traveling to eastern Hokkaido to explore the birdlife and habitats that exist here. Needless to say, this site is a work in progress. If you notice any errors, chances are good that they belong to me (Doug Braat). A short note that will allow me to fix or update anything, or add content you might like to have, is always welcome (via the Contact Us page). Copyright©2010-2018, Okhotsk Chapter of the Wild Bird Society of Japan. All rights reserved. Original English text and translations from the Japanese by Douglas Braat.